8tb Capacity And 23% Lower Energy Consumption. That's The Power Of Helium. 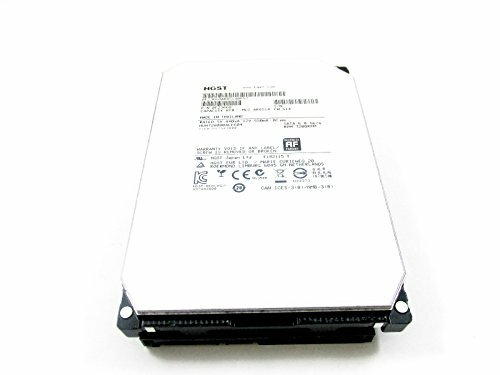 Meet Ultrastar He8, Hgst's Second-generation Hard Drive Based On The Widely Accepted And Proven Helioseal Platform. With 8tb And 6tb Capacity Points, Ultrastar He8 Goes Beyond What Any Other Hdd Can Do Using Air And Raises The Standard For Capacity And Power Efficiency In Cloud And Hyperscale Data Center Environments.we Recognize The Growing Pressures That Data Centers Face. Volume Is Expanding, Operating Costs Are Rising While Budgets Remain Flat. Lowering The Total Cost Of Ownership (tco) Has Become The Focus Of Data Center Architects. Through Hgst's Patented Helioseal Process, The Ultrastar He8 Provides The Best Tco Value Proposition By Delivering The Industry's Highest Capacity At 8tb, A Low 5.1 Idle Watts, A Reduced Weight Of 650g, And Running 4-5°c Cooler.cooler And Quieter With Industry-leading Power Efficiency (watts/tb), The Ultrastar He8 Lays The Foundation For Future Growth In Massive Scale-out Environments.